Ever since the Facebook cover video rolled out this past year it has given users a chance to really captivate their audience. This free landscape that was normally only available for photos is a great piece of real estate to post your videos. The platform gives you between 20 and 90 seconds to capture your audience and showcase your best assets. The Facebook cover photo is 820 pixels wide by 312 pixels tall. Note that if the dimensions are somewhat larger you can reposition it to display within the parameters. however if it is more than 90 seconds you will not be able to upload the video. Basically if you have uploaded a new cover video before you will be able to easily upload a video. Hover over the “change cover” button on your cover photo and instead of choosing photo choose the “upload video” option. 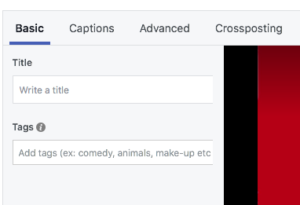 Facebook recommends a MP4 or MOV format however you can get a complete list of file formats here. Since the new feature was laid out and a handful of accounts have some really great videos to capture their readers. Just like Starbucks has seasonal drinks, they keep up with the content on social as well. Their latest video as shown in the photo above is set on a loop to continually play this short clip. Shakr’s cover video rolls through their website, which gives insight into their product. This is a great way to showcase what you have to offer your audience. Vimeo uses a simple, clean design which animates stand still images. You can also optimize your video even further for SEO elements. 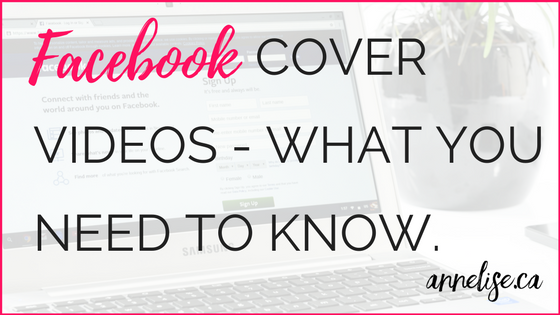 Under your “Videos” tab you will see your cover photo video. Click on “edit video” and once this open you can add a custom title and tags. This is definitely important to keep your video in the ranks for popular searches.